This project was for Earthlandia Technology to promote their augmented reality app, Complement. 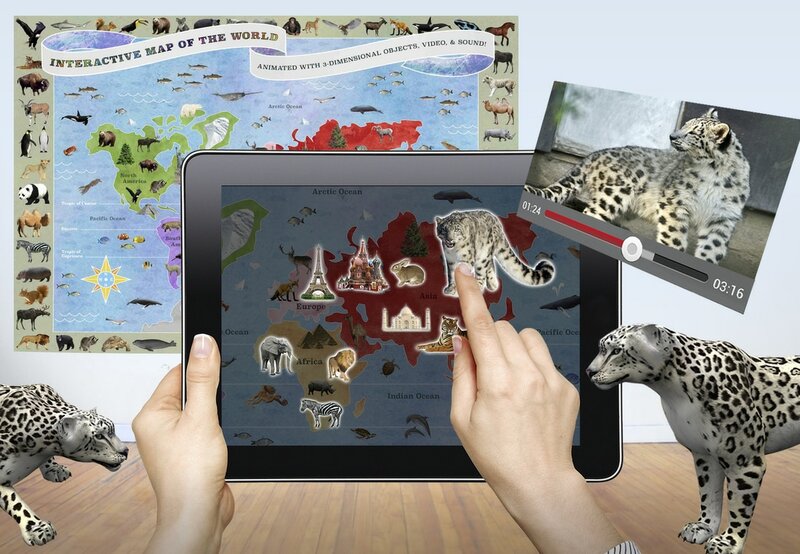 Scanning this Map of the World with the Complement App (for Apple and Android devices) reveals an engaging digital component; animals and landmarks become tappable and, upon tapping, reveal 3D animated objects and video and sound! 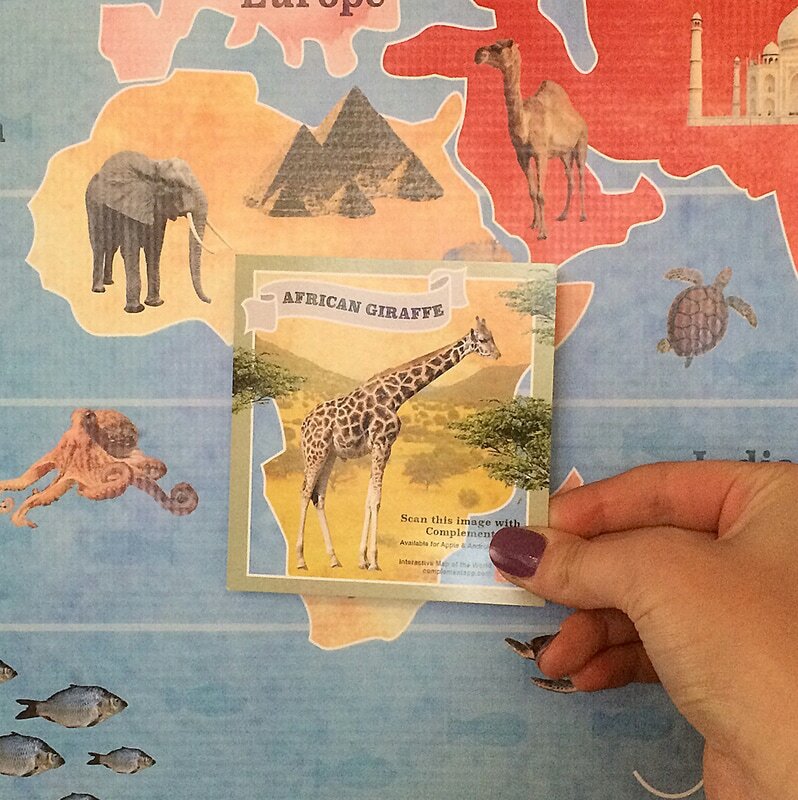 A printed image, such as this map, works similar to a QR code when scanning - the app reads the image (no barcode required) to reveal the extra components. The Map was designed with this in mind, for the most stable scanning results. For this project, I designed the Map, a User's Guide for the Map, the tappable objects, and the videos and narratives that are displayed upon tapping each object. Additionally, I created six promotional cards, each with a different feature animal, to be distributed for advertisement. ​A one minute promotional video was also created! Watch it below!